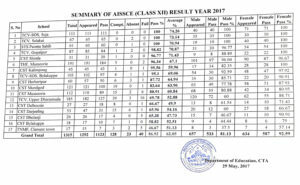 The Central Board of Secondary Education (CBSE) declared the result of All India Senio School Certificate Examination (Class XII) at 10:30 am on Sunday, the 28 May 2017. Out of the 1292 students appeared in the examination in March 2017, 1123 have cleared the exam, 128 students were placed in the compartment category and 40 students have failed. The overall pass percentage is 86.92 %. Among the 17 Tibetan Senior Secondary Schools, three schools namely, TCV School Suja, TCV School Selakui and STS Paonta Sahib achieved 100 % result. Like last year, this year too, the girls with the pass percentage of 92.59 % have outshined the boys with pass percentage of 81.13 %. The number of students getting 75 % and above in Arts Stream is 152, Commerce Stream is 20 and that of Science Stream is 86. The highlight of this year&#39;s result is that 398 students have scored 75 % and above in Tibetan language, and among them 16 students have scored 99 %. The following is the list of Gaden Phodrang Awardees for the year 2017 from each stream. 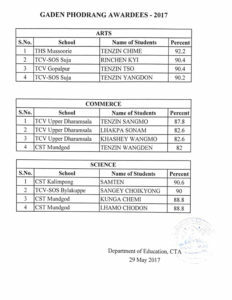 Arts Stream: Tenzin Chime with 92.2 % from THS, Mussoorie, Rinchen Kyi from TCV School Suja and Tenzin Tso from TCV School Gopalpur with 90.4 % each and Tenzin Yangdon with 90.2 % from TCV School Suja. 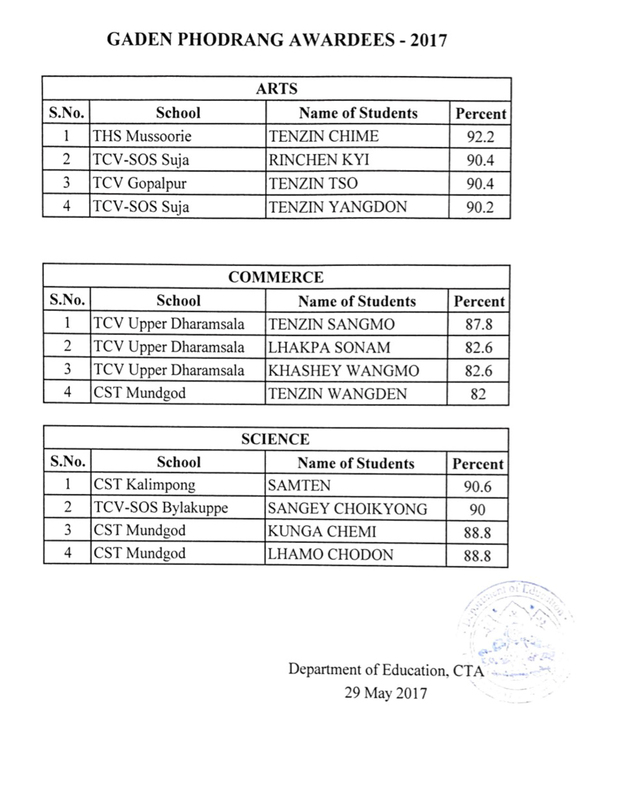 Commerce Stream: Tenzin Sangmo with 87.8 %, Lhakpa Sonam and Khashey Wangmo with 82.6 % each from TCV School Upper Dharamsala and Tenzin Wangden with 82 % from CST Mundgod. 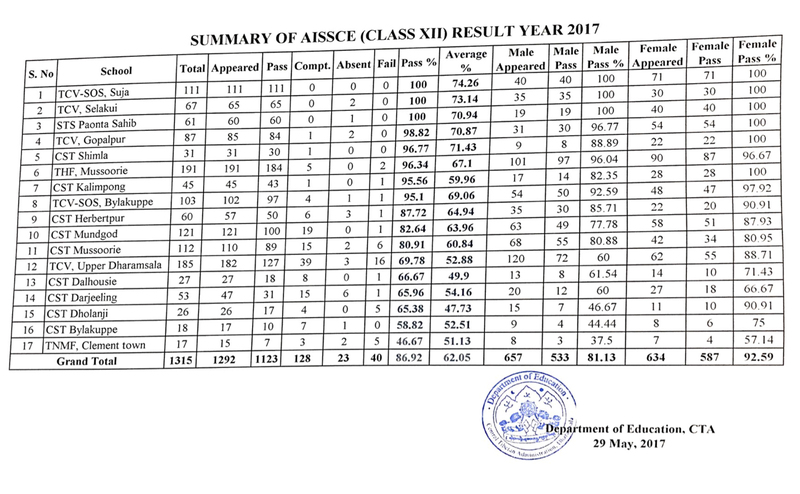 Science Stream: Samten with 90.6 % from CST Kalimpong, Sangey Choikyong with 90 % from TCV School Bylakuppe and Kunga Chemi and Lhamo Chodon with 88.8 % each from CST Mundgod.